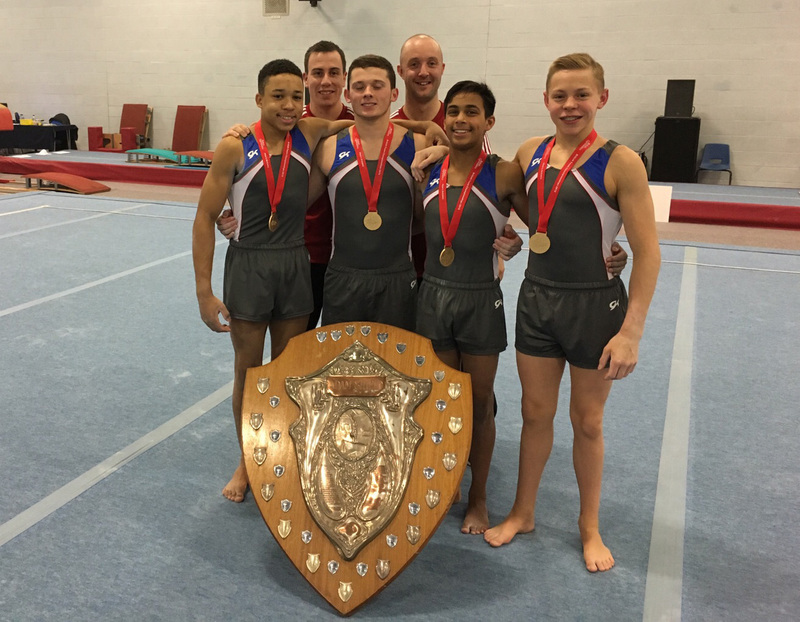 A Great day for the City of Birmingham Gymnastics Club, Mens Artistic team, at the British Team Championships which were held at New College, Leicester, 21st November 2015. 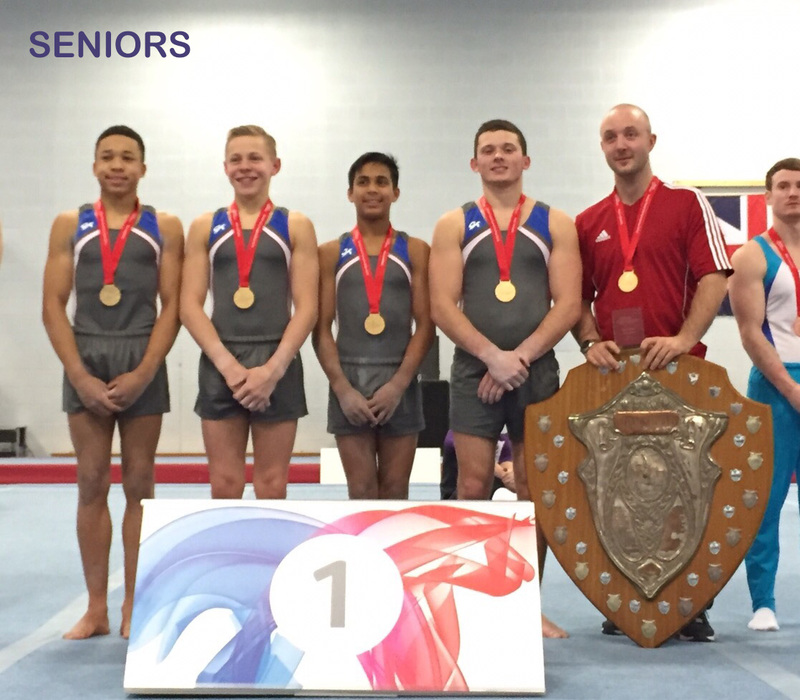 Both Senior and Junior teams stormed away with the titles of British Team Champions. 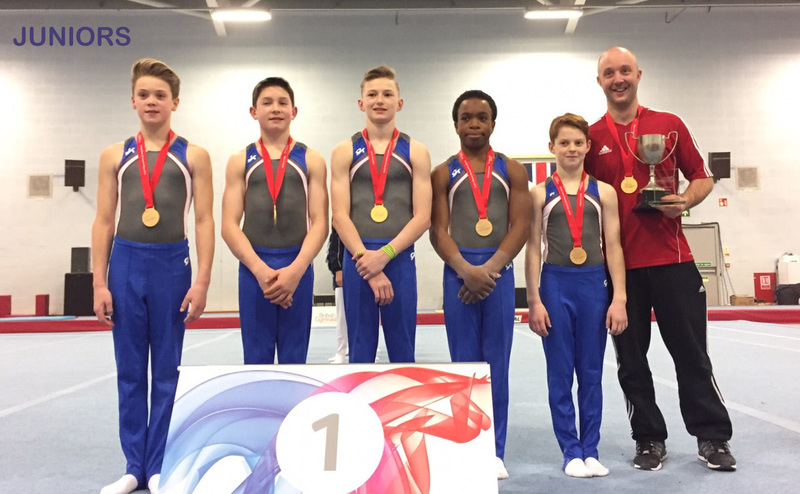 Well done to the young senior team of Hamish Carter, Harry Caulwell, Dominick Cunningham, Joe Fraser, Joshua Nathan and the junior team consisting of Raekwon Baptiste, Thomas Hobbins, Korben Fellows, Thomas Paradise and Tobie Watson, all of whom are also members of the British national team. Whilst the the Junior championship (Williams Trophy) has been won several times over the years by the Cityof Birmingahm this is the second time since the then known Birmingham Athletic Institute, now City of Birmingham Gymnastics Club, have fielded a senior gold medal winning team; so the fifty year drought is over. Well done to Lee Woolls, Head Mens Coach and to Luke Folwell Assistant Mens Coach on a job well done! !